It turns out that you can lose more than the sale with a bad mobile experience. A site that’s not designed for mobile can leave users feeling downright frustrated, and these negative reactions translate directly to the brands themselves. 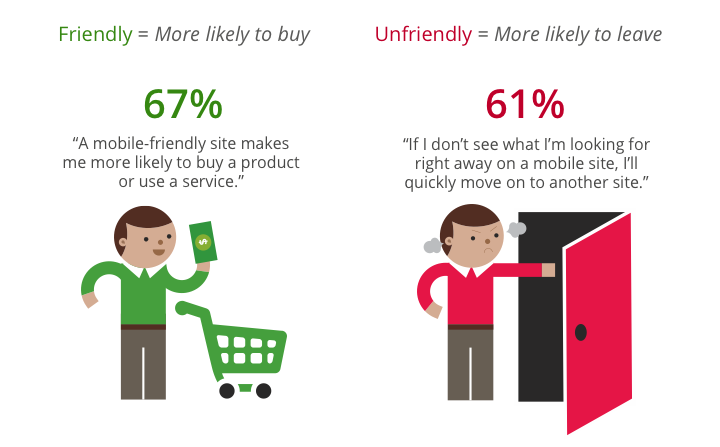 While the research confirms what we already suspected — that mobile users actively seek out and prefer to engage with mobile-friendly sites — it’s a sobering reminder of just how quickly and deeply users attitudes about companies can be shaped by mobile site experiences. Having a great mobile site is no longer just about making a few more sales. It’s become a critical component of building strong brands, nurturing lasting customer relationships, and making mobile work for you.